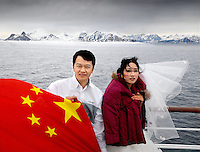 In the summer of 2010 Chinese tourists enjoy the themselves on a trip to the Arctic. The trip goes from Tromsø on mainland Norway to the island of Svalbard (via Nordkapp and Bjørnøya). 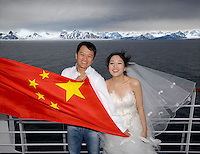 Norway hope to attract more Chinese tourists as well as business people. However, on Oct 8th 2010 the Nobel comittee announced it was awarding the Nobel Peace Prize 2010 to Chinese jailed dissident Liu Xiaobo. China angrily condemned the decision to award the Nobel Peace Prize Liu Xiaobo. The Beijing government summoned the Norwegian ambassador in protest. It called Mr Liu a "criminal", saying the award violated Nobel principles and could damage relations with Norway. The implications of the the award are yet to be seen, but the Norwegian business community fears set backs and delays in their efforts to attract business from the Chinese.